Your SIMPLIFY. Workbook is drifting through the ether on it's way to your inbox now. ONE VERY IMPORTANT NOTE: You must confirm your subscription in order to receive it -- there is a confirmation email on it's way to you as we speak! 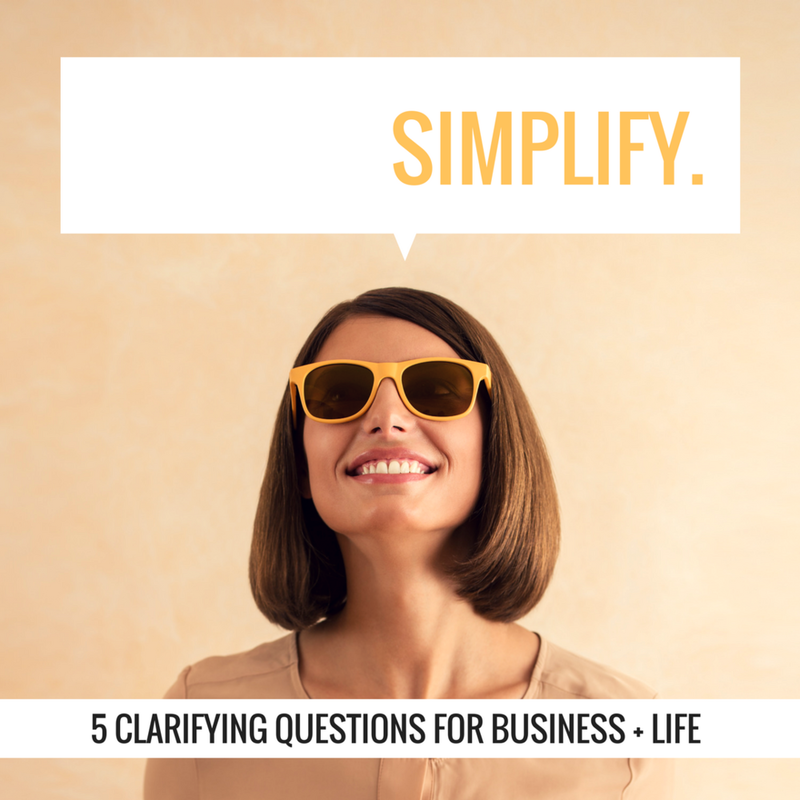 SIMPLIFY :: A MINI WORKBOOK FOR BUSINESS + LIFE. In today's hyper-connected and ever faster world, it's easy to get bogged down with a lot of mental clutter, resistance, and distraction that prevents us from doing the things that we know we want to do. SIMPLIFY. with this handy-dandy little workbook for helping you cut through the noise and get back to what is essential for making it happen, in a clean + direct way.